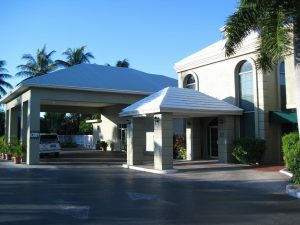 Staying at Hotel Key West was not our first choice, but it turned out better than we expected. It had a very clean and spacious room, comfortable beds, very cold AC, and the hotel amenities were good. 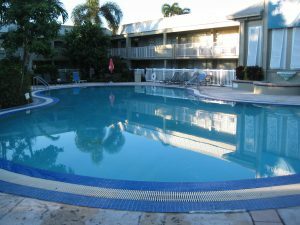 Key West is one of those places were you have many choices to stay but if inexpensive price with a clean room is important to you, then you need to check out Hotel Key West. This property used to be the Holiday Inn, then two months ago, it was renamed and the rooms were totally refurbished and spruced up. The upside of this hotel is the price, you can get a room from $80 and up depending on the season. 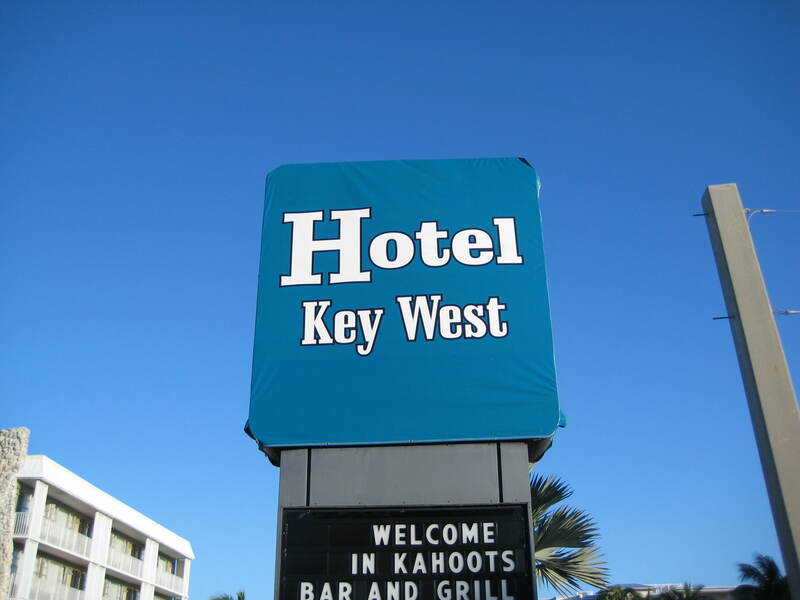 If you know Key West, this is very reasonable because rooms can go for $300 and up a night. The rooms had refrigerator and microwave which was a big plus. The concierge Matt was very helpful and friendly (get to know and tip your concierge, they can save you lots of travel headaches). The room had a coffeemaker and coffee. The pool was big and a delight to swim in. There is a decent restaurant, Kahoots, and nice Tiki Bar if you want that. A big up side for me and my wife was the brand new gym room. The equipment was good for us and no one was using it. The downside of Hotel Key West is how far it is from Duval Street. But a good thing is the Key West Trolley stops right next to the hotel, easy to walk to. The trolley will cost about $29 for a two day unlimited pass. To get back to the hotel you need to catch the last trolley at 4:3opm otherwise you will need to take a taxi back. The 2nd thing I found a little challenging about this hotel is pulling into the hotel from US1, the main road that comes into Key West. 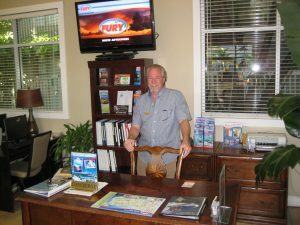 If you drive into Key West, US1 forks at Key West, and you need to go right or left. You will see the hotel sign in front of you and you are not sure which way to drive and you need to go right. Just drive a few seconds ahead and pull into the middle turn lane. Be careful because this turn lane is on a curve coming from Key West’s Duval Street, you need to be very alert to make your turn onto the property. There is not a problem coming from Duval Street. If you are going to do the Wild Dolphin Encounter tour from Dolphin World, you are right next to Stock Island which make this hotel perfect location for you. I would give a thumbs up for this hotel if you are a price conscious consumer like I can be right now in this bad economy . 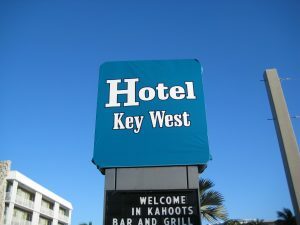 Does anyone have some feed back on this hotel or other hotels they enjoyed while staying within Key West? I would like to hear your choices.